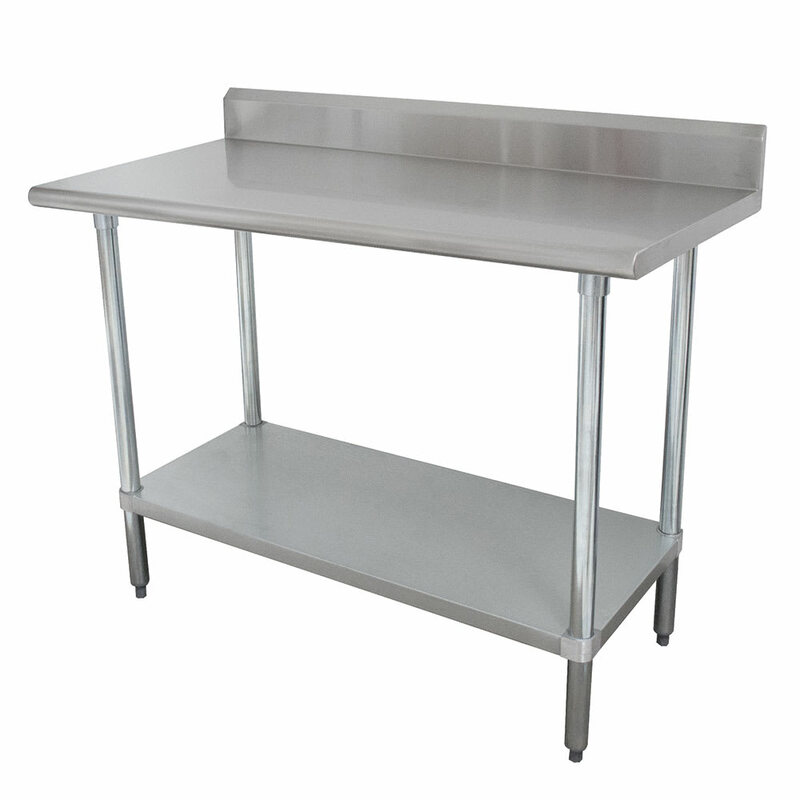 The Advance Tabco KMSLAG-303 work table is equipped with a top work surface and an adjustable undershelf that provides 8 cubic feet of storage space. 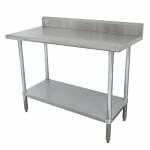 The top is constructed of 16-gauge stainless steel, while the undershelf is constructed of 18-gauge stainless steel. Gauges with lower numbers are stronger and provide more support than gauges with higher numbers. The sound-deadened top provides noise reduction, and its 5-inch rear backsplash contains spills and leaks. Square bends on the sides ensure the unit can be placed against walls and other surfaces, and a rolled rim on the front eliminates sharpness. For reinforcement, two hat channels run under the top surface. An aluminum die-cast clamp connects the shelf to the legs without the use of nuts and bolts. The Advance Tabco KMSLAG-303 work table is TIG welded for a precise weld with polished weld areas for a smooth finish. TIG welding is a type of arc welding that uses tungsten electrodes to heat and weld the metal. For more information on work tables and their features, check out our work tables buyers' guide.